Brooks Running wanted to announce to the world that they were moving their headquarters from Bothell to Fremont, WA. To achieve this we created an integrated campaign using online and offline tactics. One of these tactics was to create an ownable trailhead for the running community located on the high traffic intersection of their new headquarters. We called this proposed idea “The Medalist”, a figure comprised completely out of crowd sourced running medals. accompanying stories and made a large, hard cover book inside the store. 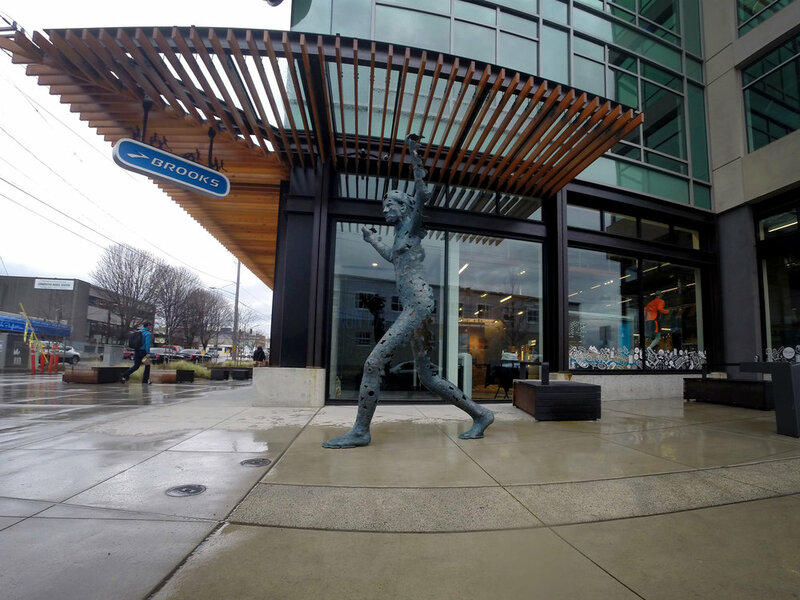 The result is a permanent statue, as well as a landmark, within the urban Seattle landscape. Sited along the Burke Gilman trail, The Medalist has become a meeting place for runners in Seattle. Not only that, it is a talking point during the Seattle Ride the Ducks tour!